Nature’s Sunshine Herbal Pumpkin combines pumpkin, black walnut, and chamomile to offer nourishment that balances the microbiological environment of the intestines. 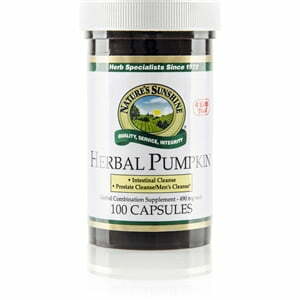 Five other herbs join together in Herbal Pumpkin that further support intestinal function through cleansing and lubricating the system. Instructions: Adults:Take two or three capsules daily with a meal. Children age 12 & over: Take one or two capsules daily with a meal. For best results, use with PS II and All Cell Detox.